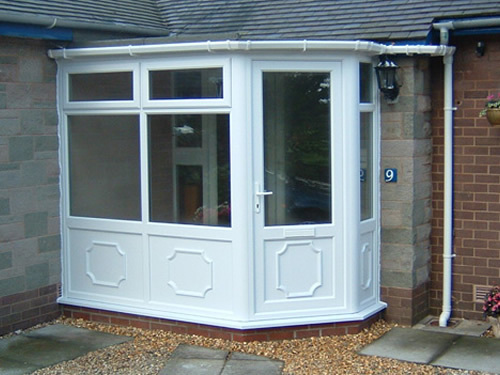 Our ‘custom built’ upvc porches will create a stylish first impression for your home. 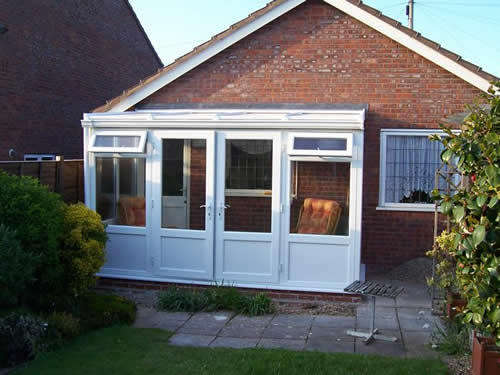 A porch will increase the security of your home, give added space and shelter against the weather for you and your visitors. 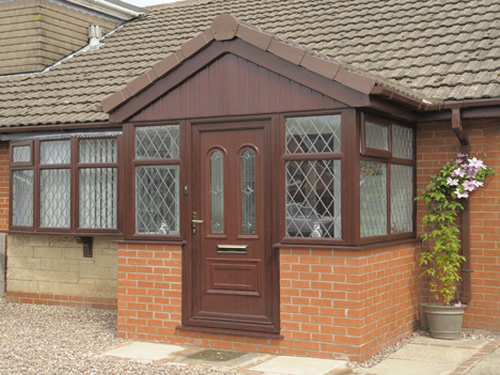 You can make your choice from our classic, traditional or modern styles which are designed to suit any home. 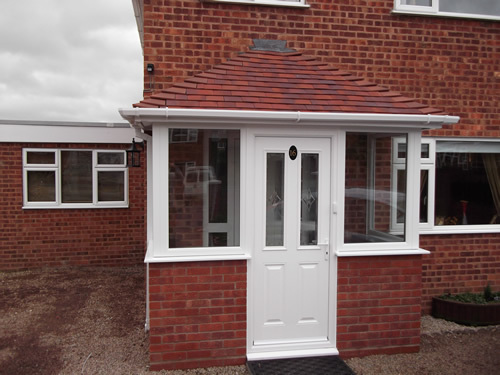 Our high quality PVC-U double glazed porches range from simple in-fill design through to a purpose built porch with concrete base, brickwork detail and tiled roof. To add your own personal touch, we can give you the choice of leaded, Georgian, stained glass or patterned windows in a range of shapes including rectangular, arched, circular or diamond. 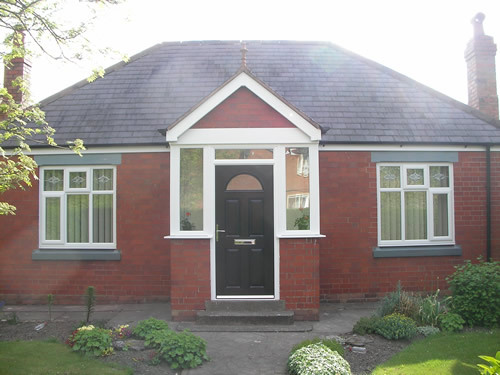 You can choose between side or top-hung casement windows, or versatile tilt and turn windows. All our opening windows have key operated high security locks to help keep your home safe and sound. We can also provide optional night vents or trickle vents – for extra comfort with security. For the finishing touch, our handles and fittings can be supplied in a wide range of colours and finishes. 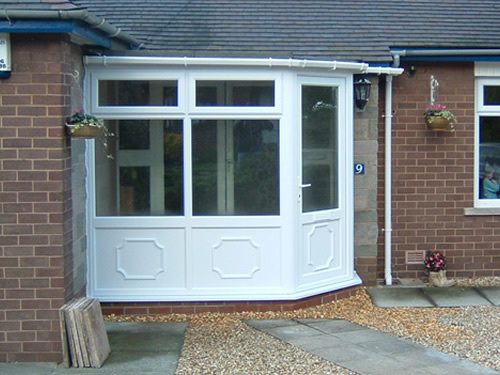 Choice is again the key to our stylish range of entrance doors and sidelights. The same selection in styles and finishes – couples with easy opening, a draught-free fit and a high level of security with six point locking. 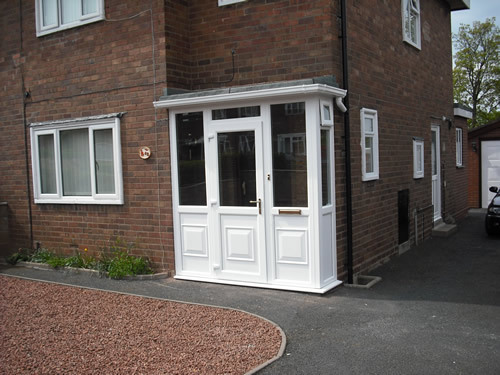 For extra convenience, doors can have an optional ‘slam lock’ facility.